The Rushall Partnership was set up in 2003 by Mark and Liz Rushall to provide marine, coaching and marketing consultancy services for sailors and the marine sector. Whilst we occasionally still work on projects together, our work is now mainly under our two separate brands Rushall Sailing and Rushall Marketing. Please click the logos below to visit our websites. Mark Rushall offers world class sailing coaching and mentoring and, as well as working with individuals, has been a coach with the British Olympic sailing programme since 2006. 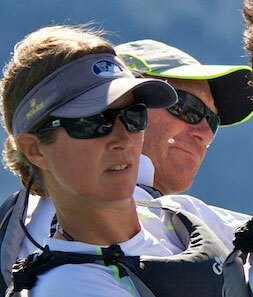 He is a yachting journalist, author and specialises in producing coaching DVDs and training content. Liz Rushall is a strategic marketing consultant advising and helping companies grow, develop their brand profile and develop sales. In addition to planning, she offers a range of hands-on marketing communications and support services on an ongoing or project basis.